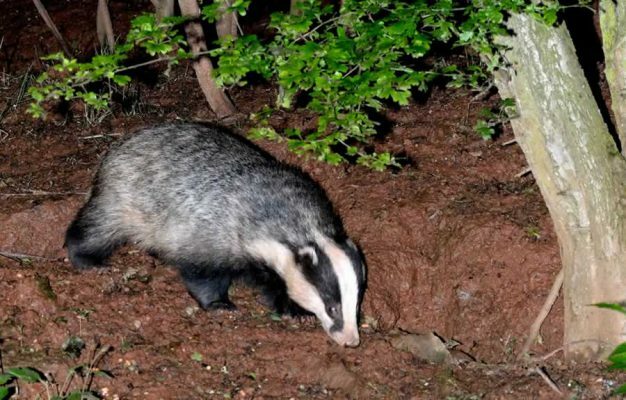 Badgers in gardens can be a delight, a nightly treat that householders all over the country look forward to. For others, they are at the very least unwelcome visitors, a threat to cherished pristine lawns and carefully cultivated vegetables. Badgers find food where they can. Often, unseen and unheard they wander quietly into gardens at night, feed on the earthworms, grubs, snails and slugs they find in lawns and borders before moving on, leaving only the smallest visual sign (a snuffle hole here, a piece of scratched turf there) as visual evidence of their night-time visit. At other times, especially when dry or frosty conditions make natural food hard to come by, they damage flower beds and lawns, in a desperate search for food. See here for further information on leatherjackets and chafer grubs, how to tell if they are in your garden and how to control them. Badgers are not normally fussy, discerning eaters. They will devour hungrily what is offered. So the best advice for householders who feed them regularly is to be sparing with teeth-damaging sugary foods-including cakes and biscuits-and to avoid citrus fruits, onions, tomatoes, milk, and raw meats. Badgers love peanut butter and honey, but both are best given sparingly, spread thinly on bread. They will usually tuck into dried pet food, peanuts, raisins, and most fruit, including plums and sliced up apples and pears. In dry spells fruit will provide much needed moisture, along of course with bowls of water. If you suspect you have a badger sett in your garden, you should seek expert advice. 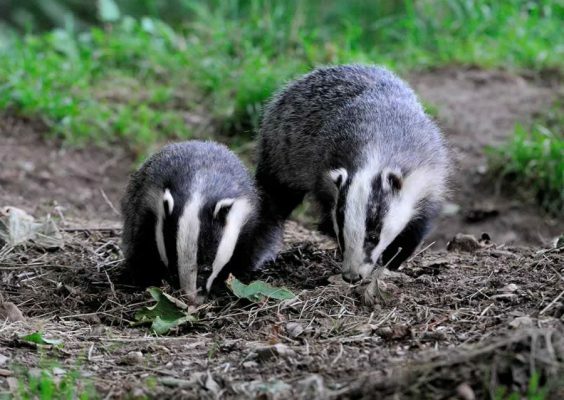 Badgers will not cause you any harm or pass on diseases. If you think it is a problem do not try to interfere with them, not only will you be breaking the law but you may also make the problem worse. 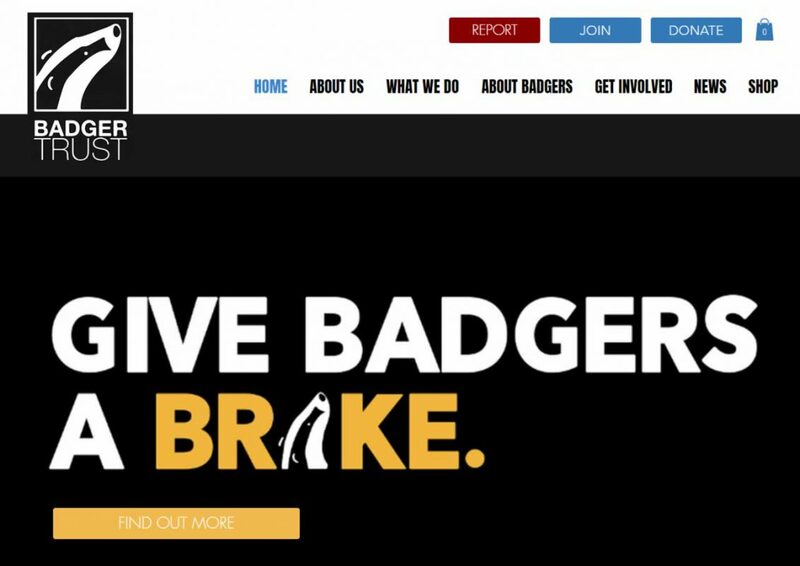 Contact your local badger group and they will give you assistance and advice. Many people live happily with badgers in their gardens. They are not a danger to pets, they would rather avoid confrontation with cats and dogs, and will keep their distance. 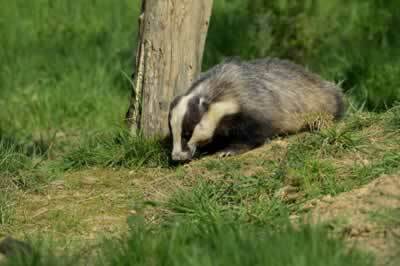 Occassionally badgers will dig under outbuildings, again contact your local group for advice and assistance. 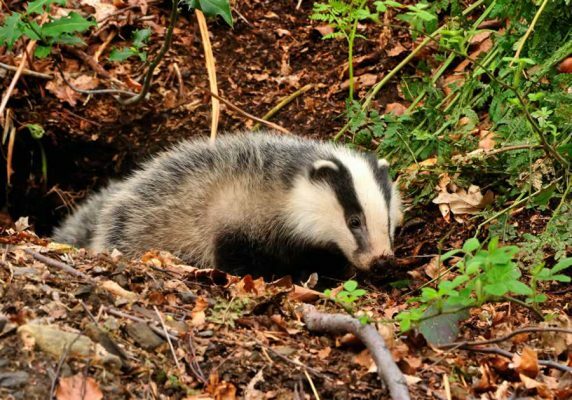 Finally, there is virtually no risk of catching TB from a badger in your garden, you would have to be in very close contact with a badger with severe TB, and they are in low numbers and usually living near farms. If you are lucky enough to own a garden swimming pool it’s worth remembering that badgers occasionally fall into, or become trapped in, pools which have been emptied over winter. They will escape up a plank if that’s placed where it provides an exit route, but some are injured as they fall and will need help. 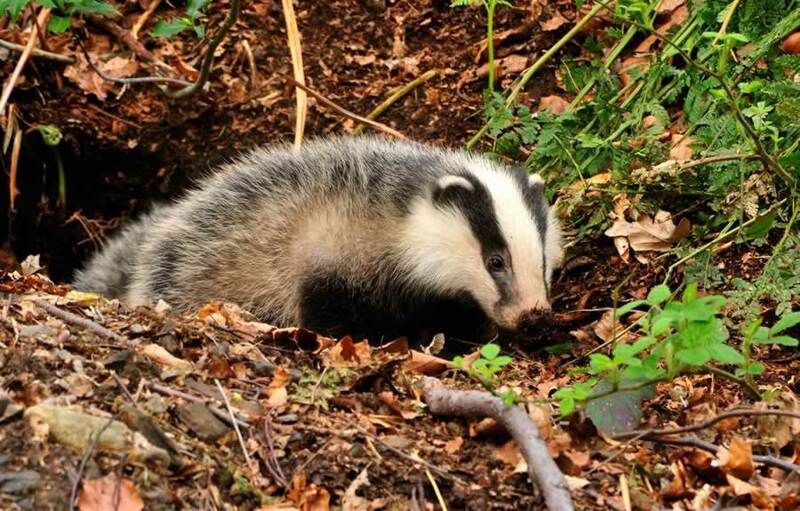 Badgers sometimes retreat to the corner of a garden or enter a shed if they are unwell or have been injured in a fight or a road accident. 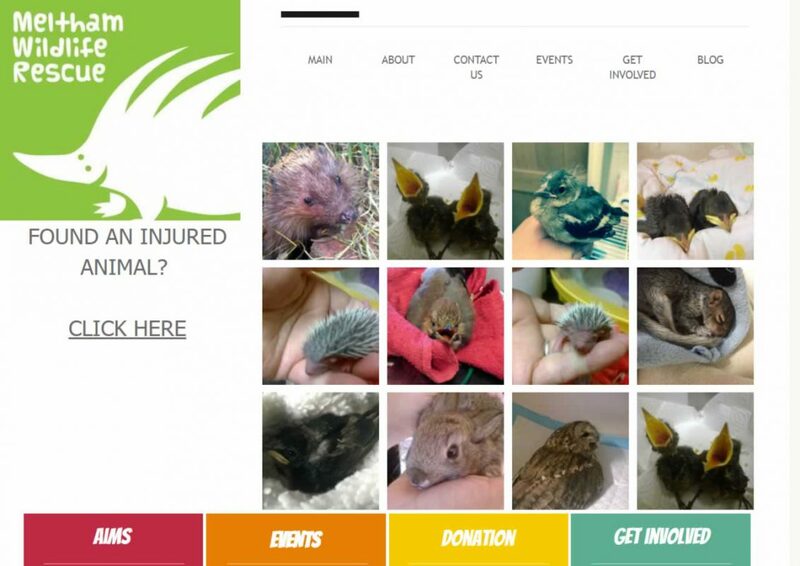 Injured animals of any kind will snap and bite. 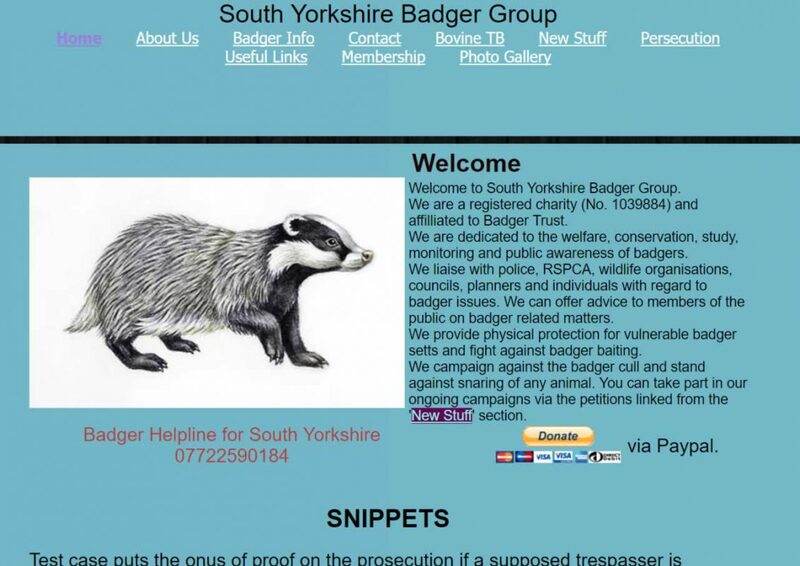 So once again our advice is: get help-from your local badger group, the Badger Trust, the RSPCA, a local rescue centre or a vet. Badgers can be discouraged or prevented from entering gardens by solid, effective fencing, locked gates and the use (not always 100 per cent effective) of ultrasonic deterrent devices. 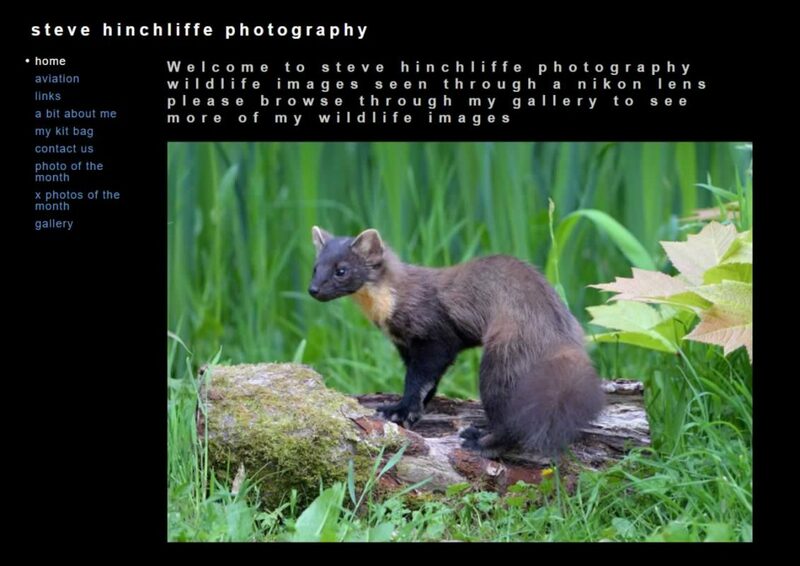 Members of Brockwatch, the badger group for Northampton and South West Northants, report success with a device called Animal-Away Plus. Another Group reports that a radio left on all night in a garden-at levels which didn’t offend neighbours-successfully discouraged badgers from entering. However, where practical, electric fences are the most effective humane deterrents. 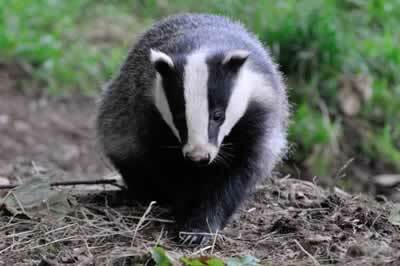 There are no legal proven chemical deterrents for badgers. 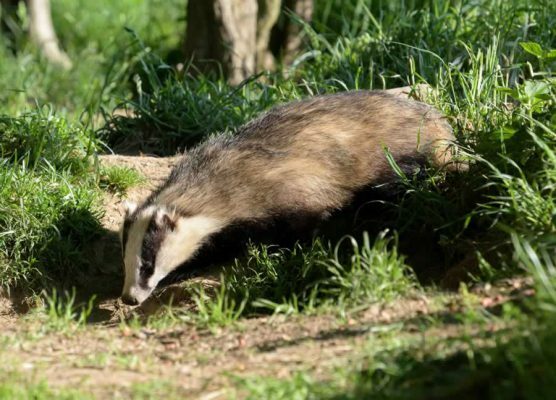 Recurring attempts by badgers to enter gardens are sometimes resolved only when badger-proof mesh is trenched in to a depth of around one metre to prevent them from digging under fences.